You know that I hate Weight Watchers. What you might not know is that for many people, going to the vet can take on rather the same flavour as a visit to your favourite weekly weight loss program. A visit to the vet, a diagnosis of canine/feline obesity and the next thing you know it’s a prescription for diet food, prescribed portions, a ban on treats, daily exercise orders, and weekly weigh ins. You can also go the medication route if lifestyle changes are ineffective. 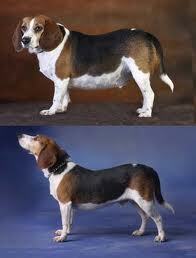 In 2007 the first drug to treat canine obesity was released. And there are, of course, pet dieting competitions! See Pictures: Fat pets before and after slimming – BBC, photos from the annual UK pet slimmer of the year competition. According to the Association for Pet Obesity Prevention, 53 percent of adult dogs and 55 percent of cats in the U.S. are obese or overweight. And it’s not just dogs and cats. twenty per cent of horses and bunnies are obese too. There’s a lot of hand wringing about pets looking like their owners and about bad habits spreading and that our inactive, snack happy lifestyles are KILLING THE CUTE CATS AND DOGS! See Are you killing your pet with love? 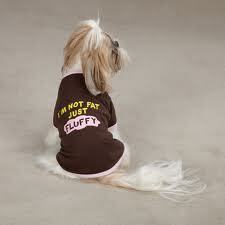 according to which doggie ill health and obesity is due to their fat, lazy owners. Not sure if your cat is fat? Here’s a Fit or Fat? Infographic for cat owners. This piece in the Atlantic What Are They Feeding You? 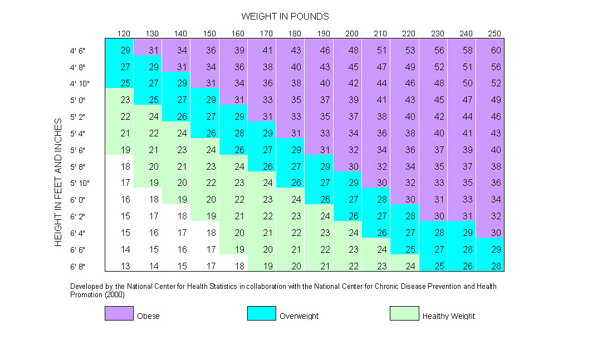 50% of U.S. Cats and Dogs Are Overweight gives you some of the flavour of the discussion if it’s new to you. It features photos of fat rabbits, before and after photos (of course! ), and talks about exercise programs and personal trainers for Fifi and Fido. Sound familiar? See also It’s Not Just Us: Even American Animals Are Getting Fatter (The Wire). Lack of companion animal activity and too much snacking mirrors the “move more/eat less” messaging that human animals hear. But what if it’s much more complicated than that? It’s not just pets that are getting fatter. Lab animals are too. And that’s a puzzle. Read the rest at The fat cat cometh: It is not just human beings that are getting fatter. Animals are, too (Economist). Recently researchers have been looking at increases in animal size to help shed light on human weight gain. David Allison, a biostatistician at the University of Alabama at Birmingham was looking for a relationship between body weight and longevity in a population of marmosets but what he found made him wonder about the standard story about the causes of weight gain across all species. The surge in human obesity is generally attributed to an increasing consumption of calories and a decrease in physical activity. “But maybe there are other things that are important — because those things can’t be acting on the marmosets, or the rats and mice in the National Toxicology Program,” he says. See Lab animals and pets face obesity epidemic. It’s also true for animals in zoos. See It’s Not Just All of the People Around You That Are Getting Fatter. Among colonized chimpanzees, males and females, respectively, experienced a 33.2 and 37.2 per cent weight gain per decade, and a nearly 18-fold and 11-fold increase in the odds of obesity. In vervets, for females and males, respectively, there were 9.4 and 2.9 per cent increases in body weight per decade associated with 83 and 834 per cent increases in the odds of obesity. Among marmosets, females experienced a 9.7 per cent increase in body weight per decade, and a 1.73-fold increase in the odds of obesity. Among males, there was a 9.2 per cent increase in body weight per decade, and a 64 per cent increase in the odds of obesity. Okay, so lab animals, pets, and zoo animals are often eating food that humans have produced. So maybe we could be to blame in these cases, even if we don’t exactly what we’re doing, we’re still doing something wrong. But what about wild animals? Some of them are getting bigger too. For a discussion of possible causes–including electricity, viruses, and artificial lighting–read this fascinating essay by David Berreby, The obesity era: As the American people got fatter, so did marmosets, vervet monkeys and mice. The problem may be bigger than any of us. Recent reports on the extremely low levels of physical activity in the Canadian population tell us that few Canadians (7% of kids and 15% of adults) are meeting recommended levels of physical activity. Does this explain increases in percent of the population counting as overweight or obese? Not so fast. In Inactivity Does Not Explain Canada’s Obesity Epidemic Dr Arya Sharma notes that the real take-home message is that physical activity levels are low in all groups, not just among those who are overweight and obese. …if we convert the rather modest differences in MVPA levels taking into account the increased effort required to move higher body weights, we would find almost no difference in actual calories spent in activities to account for any difference in body weights. Thus, to me at least, these data pretty much blow to pieces the widely held bias that overweight and obesity can be largely explained by lack of activity or that overweight and obese individuals are less physically active (read “lazy”) than “normal” weight individuals. Continuing to link the necessary discussion about inactivity to the problem of obesity is not only scientifically unfounded but, by dangerously and unfairly reinforcing stereotypes (not reflected in the actual data), may well do more harm than good when it comes to tackling both the epidemic of obesity and the epidemic of sedentariness. Read the rest. It’s a very interesting post. Oh, I also hate sharing these stories because inevitably they are accompanied by a photo of a headless fat person. Oh, the shame! I lost my head. See No more headless fatties, why not use images of active fat people complete with heads instead? for my beef on that front. Now, there are lots of proposed values of X, the list of things that cause obesity. In additional to the usual suspects (eating too much and moving too little) the list has included such things as street lighting (too much light at night disrupts our sleep rhythms), chemicals in plastics, hanging out with fat friends, and my favourite, comfortable kitchens where people want to spend time. I just had my kitchen redone and now I think maybe I should go back to our one person-at-a-time galley thing that was falling off the back of the house. “What a beautiful kitchen!” I hear my neighbour saying but I wonder if she’s also secretly thinking, “Too bad it’s making you fat!” Actually my kitchen isn’t that nice. Maybe just nice enough to make me pleasantly plump. For the complete ridiculous list, see xojane’s list of 21 Things Making You Fat Right Now! Here’s one such theory that I hear a lot. It’s central heating that’s to blame. Warm houses are making us fat. This story fits in well with my British heritage. “Jumper” should have been your first clue. I’m from the land of virtuous people living in cold houses. My family loves to retell the story of a great aunt who at the insistence of her children had central heating installed but reassured all visitors, with a smile, “I haven’t had it on yet.” I think she likely died without ever turning it on. And truth be told, I’ve inherited a bit of that. I like cold rooms and lap blankets, warm kitchens with ovens on, and cold bedrooms with warm blankets. I even have a heated mattress pad. (My new fave feature of modern life is the smart phone app that allows me to get into bed and then turn down the heat and shut off lights. Brilliant.) I prefer hot spots in otherwise cold rooms. This makes sense as I also love old houses and these things go together. Winters in Australia and New Zealand tested my tolerance for cold houses. I guess when the weather isn’t life threatening, you don’t see the same need for regular, reliable indoor heating. And to add to the moralizing notes in this story, cold houses don’t just promote virtue (I think it’s because you’re not tempted to take off your clothes until after you’re under the blankets and sweaters on top of sweaters aren’t exactly the sexiest look around) they’re also better for the environment. No surprise then that warm houses make you fat. See Mark’s Daily Apple, Is central heating related to obesity? Even the New York Times weighed in Central Heating May Be Making Us Fat. And Time Magazine too, Why Indoor Heating May Make You Fat. The authors of the new study, published in the journal Obesity Reviews, note that average indoor temperatures have risen steadily in the U.K. and U.S. over the last several decades, as central heating has become increasingly available — and rates of obesity have risen too. 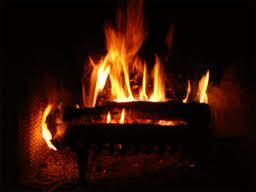 The average temperature in British living rooms went from 64.9 degrees F to 70.3 degrees F, from 1978 to 2008. Living rooms in the U.S. have long been heated to at least 70 degrees F. Indeed, average temperatures have gone up all throughout the house — and in the wintertime, people tend not to leave their homes much anymore, at least not unless it’s in a heated car. Although humans are born with significant deposits of brown fat — the primary purpose of which is to regulate body temperature by burning energy for heat — those stores diminish over time. By adulthood our brown-fat stores have shrunk, having been replaced with the more familiar white fat, the stuff that hangs over belt buckles and swings from the backs of arms. They were all citing the same journal article, Could increased time spent in a thermal comfort zone contribute to population increases in obesity? And I’d love to love this story. Yes, get out of your comfort zone, go play outside, stop burning fossil fuels. Live like our ancestors used to, etc etc. But now, it’s cold, not hot, but cold, that makes you fat. That journal article was published in 2011, but new research published the same journal years two later says it’s cold, not heat, that packs on pounds. 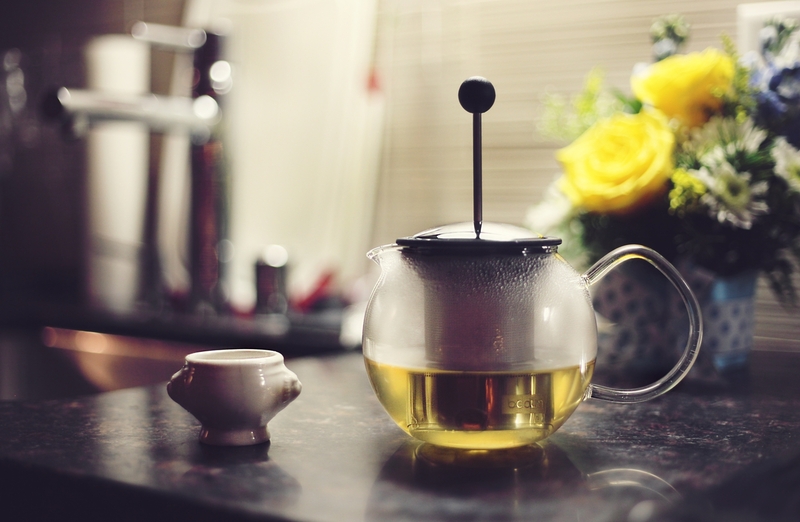 See Study: turn up heating to fight fat this holiday season. An interesting new study from the UK reveals that people who live in well-heated homes are not as likely to be obese or have a high body mass index, compared with individuals who keep their houses cooler. The researchers, from the University of Stirling in Scotland, have shown a link between higher temperatures and lower levels of body fat by studying over 100,000 adults who rely on central heating from 1995 to 2007, in the nationally representative Health Survey for England. Although the researchers note that scientists have recently suggested warmer indoor temperatures could be contributing to rising obesity levels in the US, Canada, the UK and Europe, this latest study suggests the opposite is true. Back and forth, to and fro. This debate ought to be familiar. I’ve heard it before about swimming in cold water (see here and here). And I’ve been bugging Tracy to blog about it. Swimming in cold water makes you fat! Wait, no, bathing in ice cubes makes you slim. Thank Tim Ferris for that suggestion. Read about his “ice diet” here. Um, no thanks, Tim. Keep your house at a temperature you like that’s consistent with caring for the environment. Swim in cold water if that’s what you like. Because we really don’t know what’s responsible for the increase in obesity rates and we’re even less certain when it comes individuals what factors are that make a difference. If there’s something to be learned here, it’s something I got from Precision Nutrition’s lean eating program, you are your own expert. Try different things and see if they make a difference for you. 1. Consuming twice the recommended daily allowance of protein protects muscle mass while promoting fat loss: “A new report appearing in the September issue of The FASEB Journal challenges the long-held adage that significant muscle loss is unavoidable when losing weight through exercise and diet. In the report, scientists show that consuming twice the recommended daily allowance (RDA) of protein while adhering to a diet and exercise plan prevents the loss of muscle mass and promotes fat loss. Tripling the RDA of protein, however, failed to provide additional benefits.” Okay fine. I’m off to re-read Tracy’s post on how to get lots of vegan protein. 2. Fruit isn’t evil, after all. Phew. So sorry Tim Ferris. And as Tracy says, no foods are evil really. 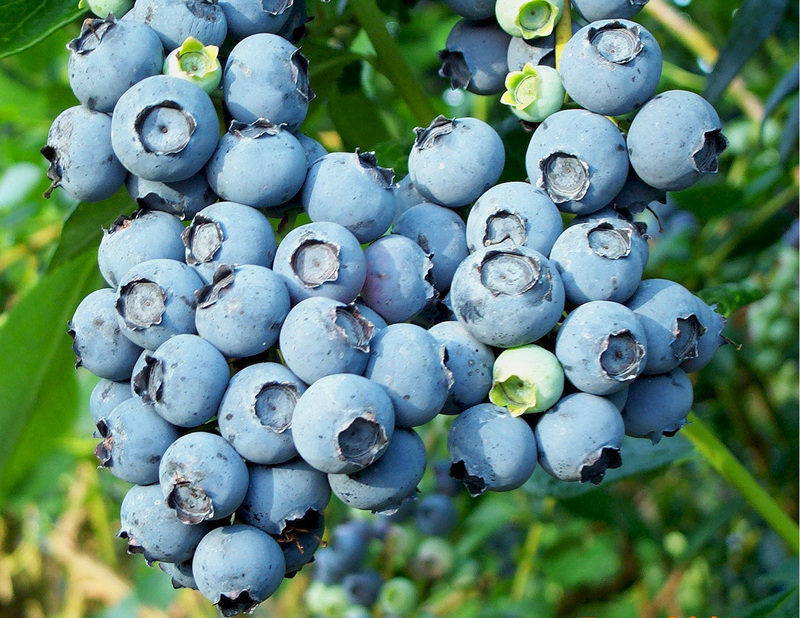 Now it turns out that some fruit protects against Type 2 diabetes. “Eating blueberries, grapes, apples and pears cuts the risk of type 2 diabetes but drinking fruit juice can increase it, a large study has found.” I’m having blueberries for breakfast with hi-protein cereal and soy milk, see above. 3. Your gut bacteria may be making you fat. “The bacteria in our gut already plays an important role in digestion. But new studies indicate that our bacteria could play a major role in whether or not we become obese.” Okay, in mice. But still worth reading about. Unlike my co-blogger Tracy who has decided that sports nutrition counseling isn’t for her and who has stepped away from the scale, I’m continuing with habit based nutrition counseling. I’m a numbers geek, I like tracking, and I’m looking forward to getting leaner in the year ahead. It’s not about hating the body I’m got, I’m quite fond of it thanks, and it can do amazing things, but I need reminders to give it the love and attention it deserves. With three kids and a busy career, I sometimes struggle to take care of myself. I’m not quite the opposite of the food obsessed dieter but it’s true that for me, more often than not, convenience and the needs of others, take precedence over my own food choices. Whether it’s a banana and a protein bar before Crossfit, a drive thru coffee and bagel on the way to rowing, a pizza slice post Aikido or instant oatmeal as a warm bedtime snack, some of my food choices aren’t the best. And given the demands I place on my body, I need to do better. For some reason, for me, physical activity is easy. I love it, can’t get enough of it, but nutrition is another matter. And yet, eating well supports everything else I do. And I do a lot so I need to eat very well. So I’m setting out to work on the foundation this year, to try to pay as much attention to nutrition as I do to other aspects of sports performance. I’m trying to think of eating as part of sports training. Nutrition counseling helps serve as a reminder that this matters. I’ve blogged here about my reasons for wanting to be leaner but I need to balance that goal with making sure I eat enough to support my physical activity. I’m also now following the Lean Eating program at Precision Nutrition. In addition to having put together the best women’s weight lifting site on the web, and having a PhD in Women’s Studies she’s also the Coaching Program Director for Precision Nutrition. I’m actually working with another Precision Nutrition Krista though. Krista Chaus is another woman with a pretty impressive bio. “Since beginning her competitive career as a strength athlete 10 year ago, Krista has become one of the Canadian Powerlifting Union’s Top 20 Female Powerlifters. She is also a National champion, provincial record holder and two times Commonwealth Championship medalist. It’s not a diet, in terms of short term change. Instead, I’m trying new habits on for size and trying to make them part of my life. The first big change for me is that one will sound familiar to those who’ve been following the blog: slow mindful eating. There’ll be no vibrating forks for me though. I’m hoping to pay more attention to my food and less attention to electronic gadgets at the dinner table. On my 2013 list of books to read is What’s Wrong With Fat? by Abigail Saguy, published by Oxford University Press. What caught my was this press release from UCLA in my twitter feed. But beyond the incomplete and misleading information on the issue, America’s obsession with obesity is itself unhealthy, she argues. Meanwhile, Saguy’s own research shows that people who read news accounts of the “obesity epidemic” are more likely than people who have not read such reports to perceive fat people as lazy, unmotivated, sloppy, and lacking in self-discipline and competence.